Weight loss is a struggle that many of us can relate to. We’ve all tried different ways to lose weight ranging from all the new dietary fads to outlandish exercise routines. But the secret to managing your weight is actually much simpler. While diet, exercise and lifestyle play major roles in your weight loss and gain, much of it is also controlled by your hormones. They control your appetite and determine the level of fat to be retained by the body. 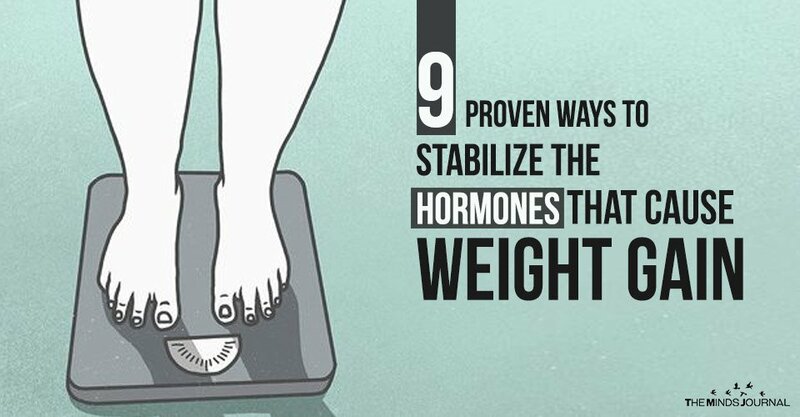 By controlling these hormones, you can also control your weight. Produced by the beta cells found in the pancreas, Insulin plays a major role in determining the amount of fat that is to be retained and the amount burned for energy. Stable levels of insulin need to be maintained because an increase as well as a decrease can trigger different health problems. The amount of insulin produced by your body can be kept at an optimum level by consuming less sugar and sticking to a diet that requires increased amounts of protein and a decrease in the amount of carbohydrates. Along with a healthy diet, regular exercise is also necessary. Switch out sugary and carbonated drinks for green tea and you’ll feel a lot better. Leptin comes from the fat cells in your body. Its purpose is to communicate with your brain when your appetite is sated. If this message cannot be carried across, you’ll keep feeling hungry even after eating because your brain won’t understand that you are full and re-energized. Along with a strict workout schedule, include anti-inflammatory foods in your everyday diet. Go to bed at an early hour and ensure that you get at least seven hours of sleep a day. If you don’t get proper rest, your body will not be able to produce the required amounts of Leptin. The opposite of Leptin, your stomach releases Ghrelin when you need to eat. This is why it is also referred to as the ‘hunger hormone’. The level of Ghrelin in your body decreases every time you eat. If this doesn’t happen you won’t be able to tell when you’ve had enough. The first thing you need to do to ensure that your Ghrelin levels are stable is stop consuming carbonated drinks that are full of sugar. Stick to a healthy diet that majorly consists of proteins rather than carbs. Nicknamed the ‘stress hormone’; your adrenal glands produce Cortisol in stressful situations. If you’re frequently under stress, the amount of Cortisol in your body will increase and you’ll tend to eat more and consequently, you’ll gain weight. Research has proven that people who tend to put on weight around their midsection produce higher than average amounts of Cortisol when they are stressed. A balanced diet with a decent amount of carbohydrates is necessary in these cases. Practicing yoga, meditating, or taking up any other activity that helps you feel calmer can also help decrease your Cortisol levels.